No kidding. 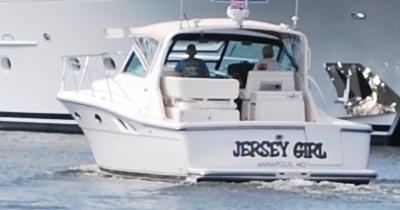 That's why we have this whole blog devoted to boat names. Since we live and breathe this boat name stuff, it caught our eye when we saw an article over the weekend on news-press.com entitled, "Naming a boat sometimes difficult." "Choosing a name for your boat or renaming your boat is an important and sometimes difficult decision. You have several things to consider besides picking a name you like." "Your boat name will stick with you as long as you own the boat and possibly longer. It could save your life." That's why we're here at the Boat Name Blog. Naming boats and saving lives. It's all in a day's work.